The catch phrase “location, location, location” is often cited by the real estate industry as crucial to closing a deal. In the case of land-scarce Singapore, its citizens’ penchant for property is giving Mr Patrick Liew, CEO of real estate company HSR Property Group, much cause for optimism. Speaking to Perspectives@SMU, Liew says he is “very excited” at the opportunities available in the robust property market. The strong desire for property ownership and the recovery of Singapore’s economy from the 2008-9 global financial crisis have set the country’s property market on an upward trend. 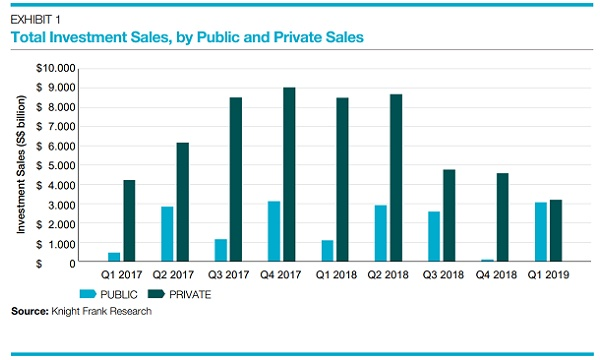 Resale prices of public housing flats have soared 67 percent over the last five years, while privately-owned home prices have climbed 56 percent since the second quarter of 2009. Based on the government’s recent projection of a 6.9 million population by 2030, Liew estimates that property prices can increase by up to five percent yearly, if demand for housing remains strong. Singapore’s ruling People’s Action Party government came up with the Home Ownership scheme in 1964 - during the country’s development years - to provide decent housing by moving those staying in villages to high-rise flats, which in turn were championed as a means for the occupants to accrue both an asset and wealth. Owning a property - and upgrading it - became an indicator of social mobility in Singapore, which is why Liew jokes that every Singaporean child “is born with a key in the mouth” as property is seen as a must-have for any successful person. Any signs of market cooling down? Case in point: A $2.05 million penthouse at the public housing project CityLife@Tampines executive condominium was sold within two hours of the project’s launch in December 2012. The flat was bought by a 56-year-old businessman who wanted to buy the property for his 25-year-old son and his wife, who are based in the U.S., and will be returning to Singapore this year. The Singapore government has rolled out seven rounds of cooling measures since 2009 to rein in the raging property market. Yet prices continue to head north. Liew shares that his staff has conducted research on the impact of the measures and found that after the initial drop in transaction volumes, buyers will typically return to the market after five months. He concludes that buyers are “numb” to the measures. Singapore Management University (SMU), a premier university in Asia, is internationally recognised for its world class research and distinguished teaching.